1 Blemished Available: $399.99 This item is available as a Blem/Refurb. These are items that cannot be sold as "New" merchandise and are limited to stock on hand. See the product details for a description of the product's condition. 3K CARBON SHELL: The proven 3K carbon fiber on the Race Star gives this helmet the look, performance, and feel of a true race helmet. Amazing air flow, fits snug but comfortable, get the tinting lens! Overall its 100% worth every dime. Feels like an extremely high quality lid. Ordered this helmet on Sunday and it was at my door on Tuesday when I got home. 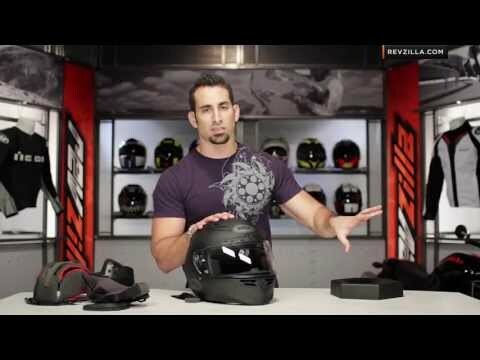 The Revzila box looked awesome, the bag that comes with helmet was the nicest helmet bag I have ever seen. Put the helmet on and was so happy with fit. In the first two days I was able to try out. How it worked on a nice day, a cold day a rainy and stormy day. ( gotta love California). This is one of my favorite helmets to date. Been riding for all most 40 years, 12yrs racing. I will say at first I thought the fact the shield had no ratchet would be a pain, has not been a problem at all. The shield has not fogged up once. Wind noise is better than most with shoie closed. I would recommend this belt to anyone matter of fact my son also owns a bell now. For great service buy it from Revzila. 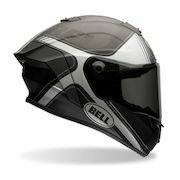 Bought this helmet because you could not beat the price Revzilla has on it right now. Especially for the amount of technology you are getting. The Race Star which is a level above the Star for a lower price is an obvious win. The helmet fits very snug but does not feel uncomfortable. This Race Star is extremely light with great aerodynamics. Also the matte black mixed with carbon fiber and matte silver looks great. I would recommend it to anyone! Next purchase is to get the Dark Silver Iridium visor for it. I really wanted to like this helmet. 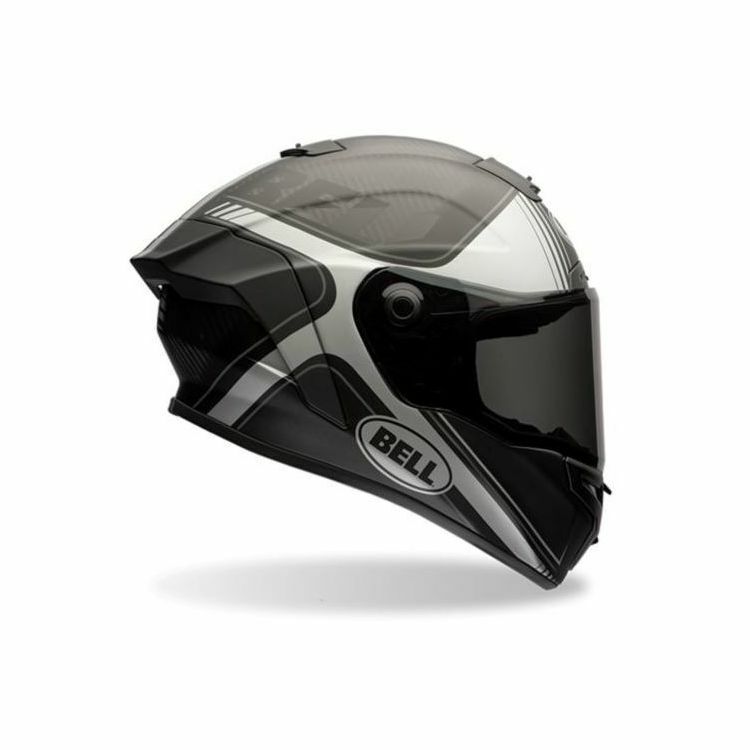 On paper, it's a great helmet, with outstanding safety features. But the fit was weird. It was incredibly tight across the cheekpads and there were hotspots behind my ears. Yet with the chinstrap tightened down, I could roll the helmet forward to an alarming degree, almost right off my head. In fact, if I had pushed hard, I'm pretty sure I could have rolled it off, but it might have hurt. This helmet is supposed to be an intermediate oval, and I'm coming from a long oval Icon, but this seemed to be far longer and narrower than the Icon. The helmet is also HUGE. Granted, I was just walking around in the house, wearing regular clothes, and I know the armor in my suit makes my shoulders appear more proportional to a helmet when I'm geared up. But I looked like a bobblehead. This helmet is also quite heavy. Objectively, it's only a few ounces heavier than my Icon, but it feels like it weighs a ton. Maybe it would get some lift and not feel so heavy at speed, but just walking around, it feels heavy. I might have been able to live with the size and weight, and perhaps the liner would have broken in, but the fact that I could practically roll it off my head was a deal-breaker. May as well not even wear a helmet if it would come off so easily. One more thing that would have been a deal-breaker if safety hadn't been an issue is the tear-off posts on the visor. They catch the light, even just walking around indoors. So you have these little light-catching things in your peripheral vision. Kind of like having a bugsplat on your visor. Forever. I had also purchased the dark smoke visor, but faced with having to also buy a clear visor to replace the one that came with the helmet, I would have returned the helmet even if I weren't worried about the safety. This helmet was back in the shipping box and the return label attached within an hour. Very disappointing. Fits very snug. Went from a large Shoei X12 to an XL Race Star. Had to send it back, was way too big. Revzilla did an awesome job turning my return around. Still getting broke in but seems like it will be a great helmet. A lot louder than the X12. I definitely have to wear ear plugs now. Not to happy about how the faceshield will just pop off if you bump it just right. Was swatting at a bug while faceshield was open, ended up catching the edge of the faceshield and it popped off. Also, ensure you tug on the faceshield once you put it on, just because it clicks doesn't mean it's fully attached. It is a tad bit lighter than my X12, was hoping it would be a little lighter than what it is. Love the wide view. Overall a great helmet that I believe I will be fully satisfied once broken in. Yes, it's pricey. But this helmet is totally worth it. 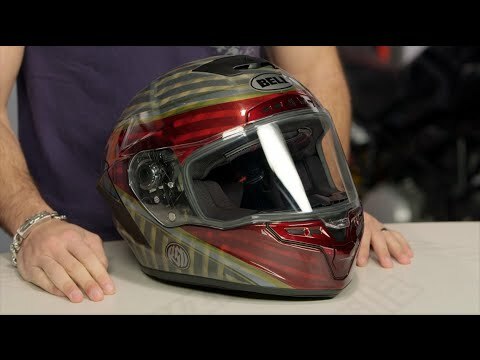 Now, I have not crashed in this helmet and I hope I never do, so I cannot speak firsthand about the flex technology, but based on the theory and the papers put out by Bell I believe the Flex liner alone was enough to justify this helmet- I definitely feel better having it. But there are so many more features to this helmet that you don't realize are big deals until you live with it for a while, particularly the Panovision face shield. I'll be honest, when I first put this helmet on in the apartment I wasn't wowed by the new shape of the shield with the cutouts- I wasn't suddenly able to see 360 degrees or have spidey-sense. But once I took my first ride I realized what a game-changer the Panovision shape is- you REALLY notice the additional peripheral visibility. Obviously the other features like the Virus liner and the Magenfusion cheek pads are also great- I would argue better than most everything else out there- but everyone has a high-end liner and quick release pads these days. The other thing about this helmet is that it looks great! the fit and finish is excellent and the paint scheme (I have the Tracer pattern in glossy) is really cool. Overall I definitely recommend this helmet!